I hesitate. I want my daughter to have friends over, but today is simply jam packed. If you’re reading this, nodding your head in agreement, you know my pain. Not only is it annoying getting asked the same question over and over, but it also triggers my people pleasing tendency to not want to disappoint. A tendency that makes it VERY, VERY hard to effectively parent. Are you being too nice as a parent? I remember the first time a student called me out on my lack of discipline – harsh, but true. It was my very first semester teaching and I was that teacher who wanted to be adored by all her students. Looking back, my fifth graders knew this and twisted it to their advantage. One day, my students lined up inside the classroom door for lunch recess and Luis would just not stop talking. I asked for quiet, he turned around and whispered to the boy behind him. I waited and stared. He appeared oblivious. Here I was, a brand new teacher, thinking that I was being patient and setting firm limits. But, she was right. I was being way too nice. When our kids engage in a behavior that drives us crazy – such as asking the same question over and over – we can still be nice, but we also need to. There’s a huge reason that my kids ask me questions over and over. I will constantly second guess my own decisions as a parent. Maybe I think I’m being too strict, or too inflexible. Shouldn’t kids be able to have fun? Isn’t that what childhood is for? Instead, what works best isn’t some trick or parenting advice that’s impossible to remember. What you say the first time goes. Now, I say this with a bit of a disclaimer. I am all for negotiating and this is not a be-all-end-all for totally stonewalling our kids. You’re building a relationship with your kids when you set firm limits. They’re allowed not to be happy with your decision. In fact, I would be suspicious if my kids didn’t quite to negotiate my limits. I would think, what alien beings have infiltrated my kids? In the case of having friends over, I knew that I didn’t want people over that day. That was my limit and I explained it. 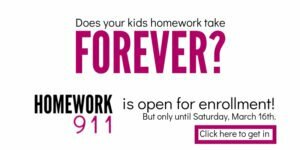 I see many parents – myself included – fall into the too nice trap here. We expect our kids to repeat it back to us. But they don’t…. WHAT?! What do you mean you forgot? No, that’s not how this is supposed to go…. So much parenting advice we read stresses forming deep relationships with children where the presence of conflict is almost frowned upon. When in actuality, conflict brings people closer together when the conflict is dealt with in a respectful manner. Saying you are mad is preferable to losing your temper on the fifth time your child asks the same question because you can’t hold it in any longer. 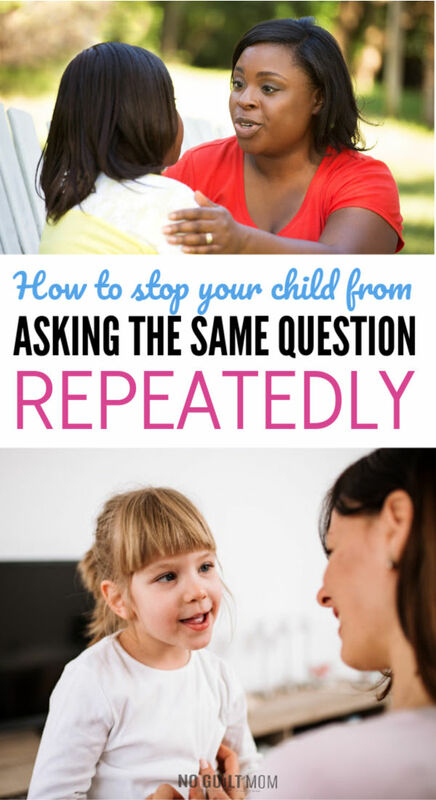 Once you tell your child how you feel, the next time she asks the same question, its reasonable to say, “Not answering that again.” and walk away. When asked about a playdate the third time, I said, “NOPE” and then turned and walked away. But by setting a firm boundary and then enforcing it, I found that the repeated question asking has noticeably decreased. It’s OK to be frustrated after explaining yourself repeatedly and then walk away. My response to both my high school students and my eight-year-old daughter is, “Asked and answered.” I can’t remember where I got this magical phrase, but to whoever coined it, thank you! It is simple to repeat, conveys a clear message, and I rarely have to repeat it more than once. I, too, am a waffler, and this saves me so many regrets. Great point Jennifer! Glad to know I’m not alone in my waffling.